the infinity staircase: Big Chairs, Blythe and Brownies. Today basically; can't get better. Late last eve my wonderful brother and his amazing wife gave birth. A beautiful new human is now in our lives, his name is Thomas. 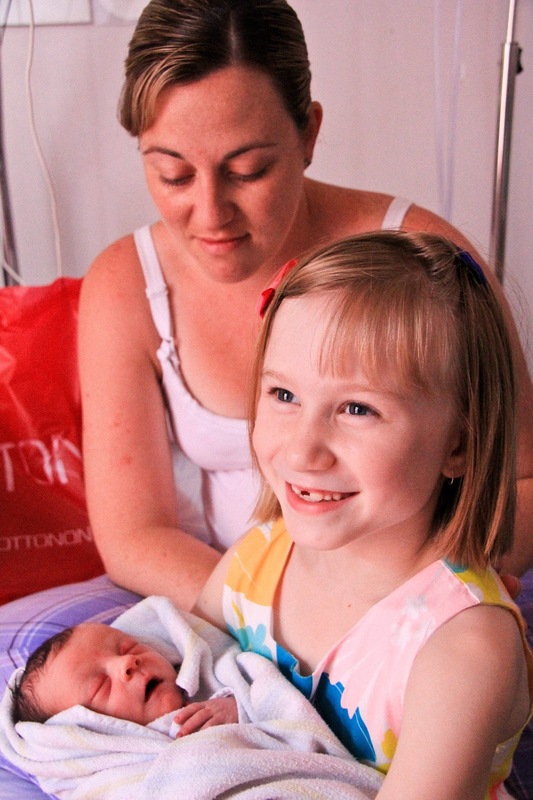 I feel so blessed, I have never experienced the joy of being an aunty before. This morning we went to visit young Thomas and no one could pry him from Miss L's arms. 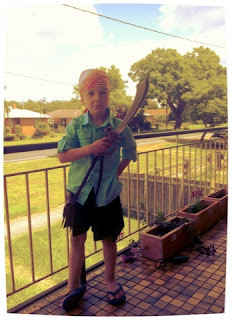 This afternoon JD had a Pirate Party to attend. We dressed him up and dropped him off. He was very excited to be attending a birthday party for the first time. Then Miss L and I took ourselves to the Art Gallery for an afternoon tea date. Here we were joined by Mr G.
my idea of a perfect Saturday afternoon. 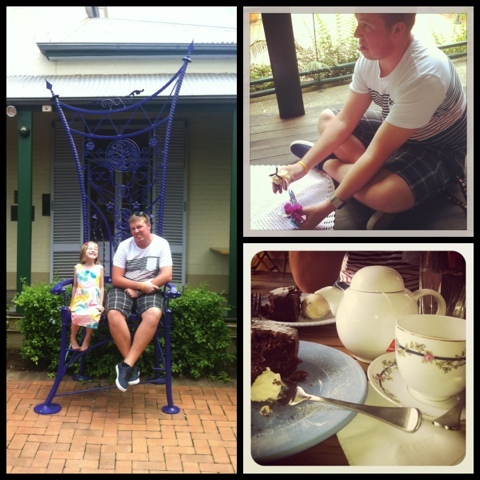 Miss L, Mr G and afternoon tea.